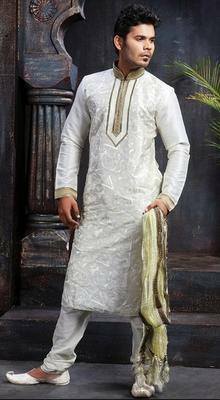 The fashion of Sherwani is well reputed in Pakistan and India. 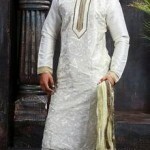 The men wedding dress is mostly considered Sherwani. 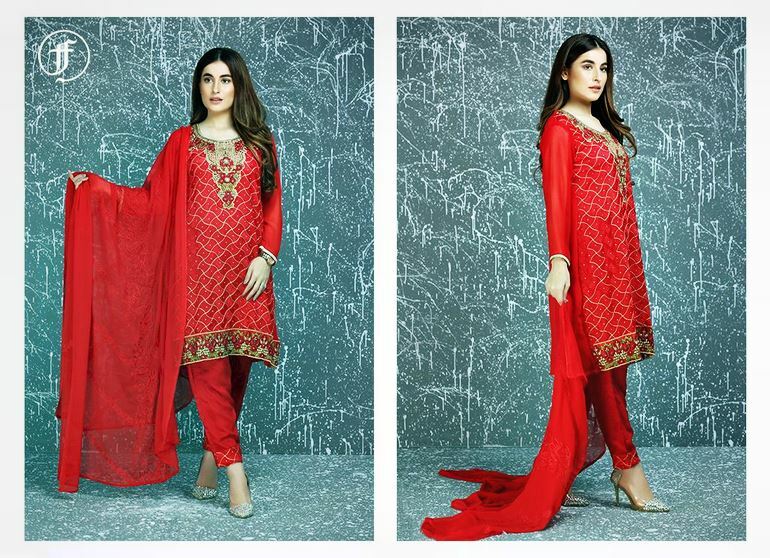 A good quality of Sherwanwill give a complete charm to a groom. 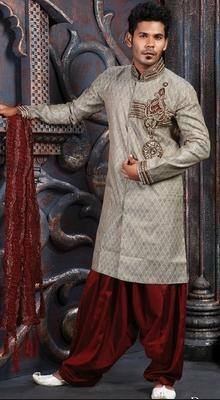 Here Kaneesha is present with latest Indian Sherwani Designs 2014 For Men. 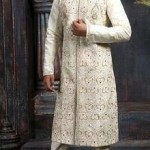 The design strategy of wedding men Sherwani is really fashion trend. 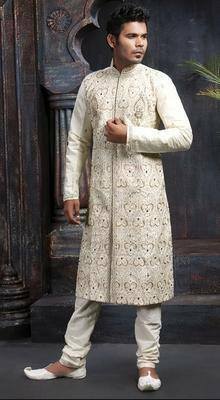 Cream Art Dupion Sherwani with Churidar is best design I ever thinking. The design of Greyish Beige Shade Jacquar Kurta with Patiayala is also best fit to Indian maha Raja type dressing. The coloration of all Sherwanies is best for wedding groom fashion. 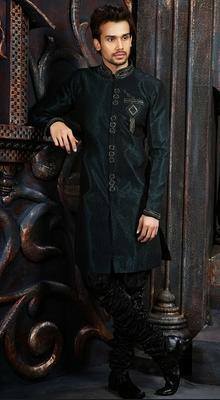 You may love Dark Bottle Green Shade Jacquard Kurta with Bridges and Cream Jacquard Kurta with Pyjama. 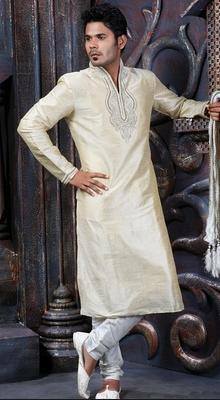 All is for you and you can buy all Cream Jacquard Kurta with Pyjama with Off White Art Brocade Sherwani with Churidar for you own wedding.